Alice's Antics: BLOGMAS DAY 1: Welcome to Blogmas! Welcome to the temporary design of christmas-ified Alice's Antics! If you're new to the vlog/blogosphere, you may not know what 'Blogmas' is, but will likely be inundated with posts from some of the blogs you follow. 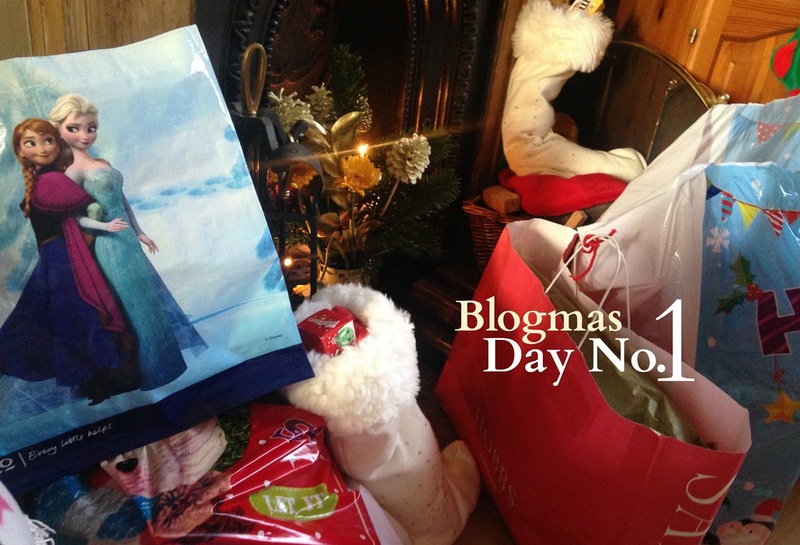 Blogmas is the daily blogging and vlogging of the lead up to christmas. It can be entirely christmassy or a little bit christmassy, but the excitement is definitely the lead up to being in the christmas spirit! I succeeded last year with a mini hiatus and this year I'm back! Blogmas-ing away with so much planned I feel like I'm drowning in a variety of days out! From afternoon tea with a very special vlogger to watching my all time favourite band perform live to introducing Alice's Antics to a new member of my household, blogmas of 2015 is going to be a cracker! For those of you who only followed my blog this year, you may not know I am pretty much a christmas elf. From october I have been planning christmas presents and secret santas, I've already planned my Christmas Day outfit and my makeup look. Christmas songs would have been played since the 31st October if I had a say in it and every John Lewis ever makes me cry. I'm so excited for this time of year to be here at last! Just the thought of it makes me warm and tingly! Watching Home Alone so much I can think of a relevant quote for any and every life situation. Going into London a lot. Due to a mismatch of life bits, I'll be in central London a lot over the holiday season and if you couldn't tell from my last blog post, there's very little (if anything) I love more than London at christmas time. Coming back home to Dorset for Elvis. If you don't follow me on instagram, you might want to check this little guy out. Watching Mumford and Sons and Kodaline in their human being incredible musical real life form. The annual tree decoration ceremony with all of my family followed by the annual bicker of whose turn it is to put the star on top of the tree (mine). So that's a little insight into the treats and delights of Alice's Antics for christmas! There's obviously a whole lot more but to it, but what's the point in telling you all now? Then you'd have nothing to read the blog for!